Annual IFA trade show is set to begin in Berlin, where companies like Sony, Samsung, Huawei, BlackBerry, and more are expected to showcase their latest gadgets. Sony’s top-end Xperia XZ lineup saw the launch of a new smartphone earlier this year, but it seems that the company is ready to launch new handsets in the series at the IFA 2018. The Japanese tech giant has just released a teaser with an Xperia logo, suggesting that one or more smartphones will be unveiled on August 30. Notably, the teaser does not reveal too many details, such as the name of the handsets that will be showcased at the trade fair. Earlier this year, ending all speculation that was pointing towards the exit of Sony’s Xperia range from the smartphone market, CEO Kaz Hirai had confirmed that the company has no plans to do so. He had said that Sony is planning to have some devices “connected to a network” to retain its market presence in the communications business. Keeping that promise, Sony has almost confirmed that there will be new Xperia smartphones in the market by the end of the month. 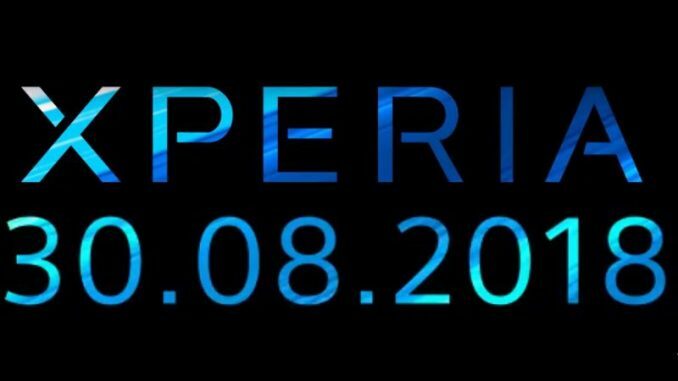 The teaser video posted by Sony Xperia via its official Twitter handle shows the date as August 30 alongside the Xperia logo and a hashtag ‘SonyIFA’. Based on previous rumours, Sony may launch the Xperia XZ3 at IFA 2018. Alongside, the company may also unveil a mid-range handset, such as the Xperia XA3 as well. Though we do not know much about the latter, the Xperia XZ3 has already been a part of the rumour mill for a while a now. Sony’s Xperia XZ2 was launched in February this year, but leaks had suggested that the flagship smartphone series is headed for a mid-year upgrade. Also, three new models in Sony Xperia’s range of smartphones were spotted on Sony’s official website – namely, the H8416 and the H9436/ H9493 – earlier this month. The key features of the Xperia XZ3 are expected to be a dual camera setup with 19-megapixel and 12-megapixel sensors, Snapdragon 845 SoC, Android 8.1 Oreo, 6GB of RAM and up to 128GB of inbuilt storage, and more.